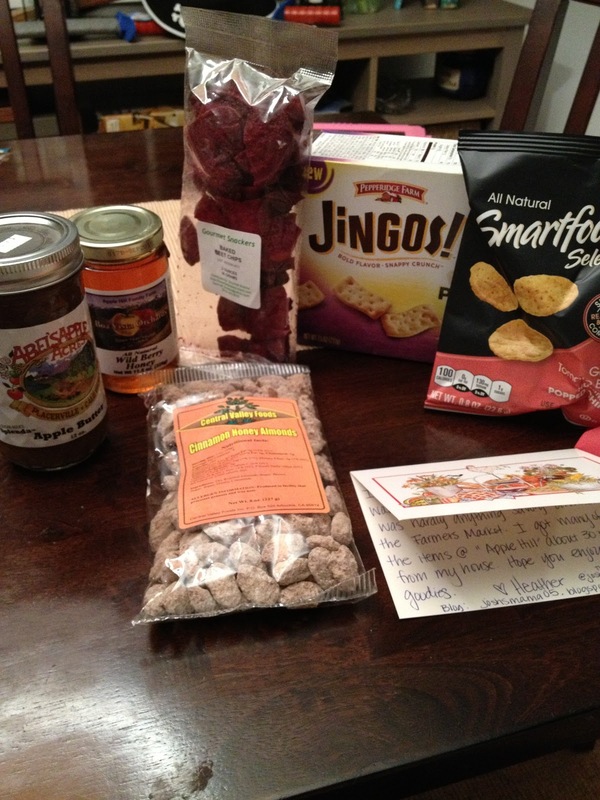 I know, cheesy rhyming, but my October Foodie PenPal package was not cheesey, it was delicious. My package came all the way from California courtesy of Heather at joshsmama05.blogspot.com. Also included; honey, beet chips (they barely made it out for the package before I ate them), Smart Food Garlic Tomato Basil Hummus Popped Chips ( I need more, pronto! 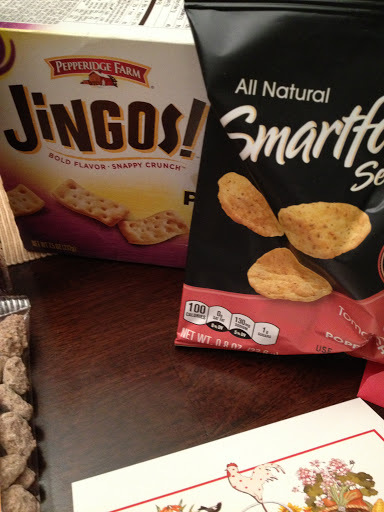 ), and Jingos crackers (which I have never had). 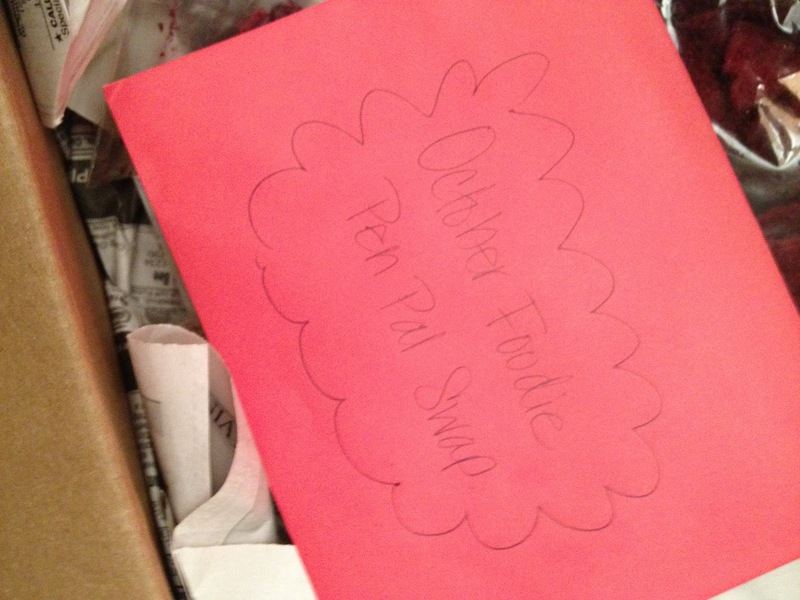 I really want thank Heather for my package. 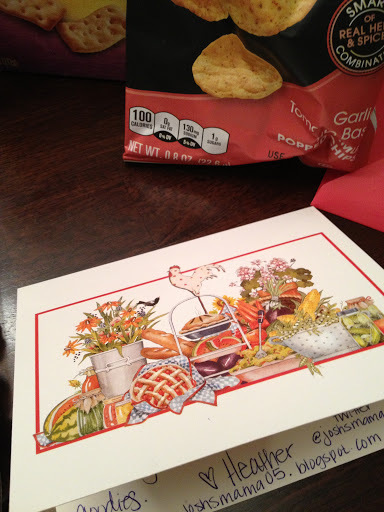 It will be my last Foodie PenPal package for the year, but I will be back in January! Great blog! How do we contact you with ideas? 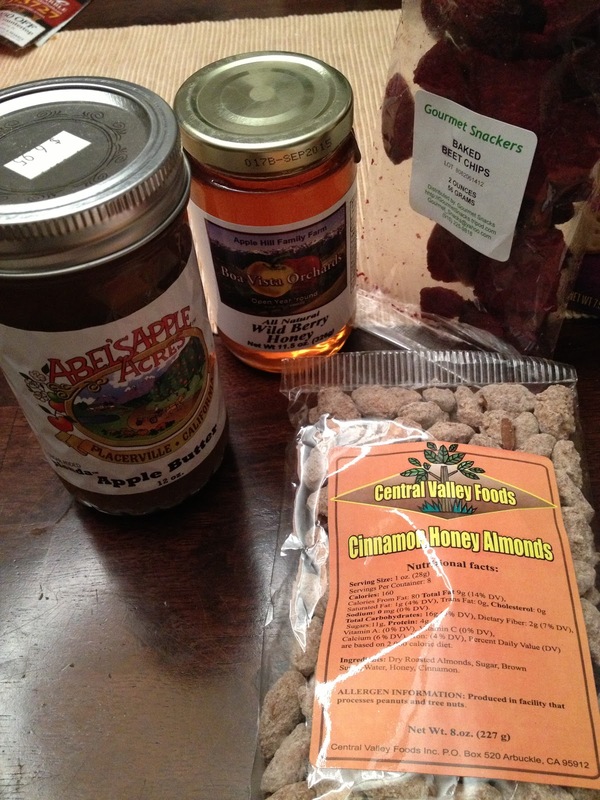 you can contact me at veggiegirlcooks1- at – gmailthanks!